Koothoomi Records presents Le Festival on Sunday 25th August 2013. 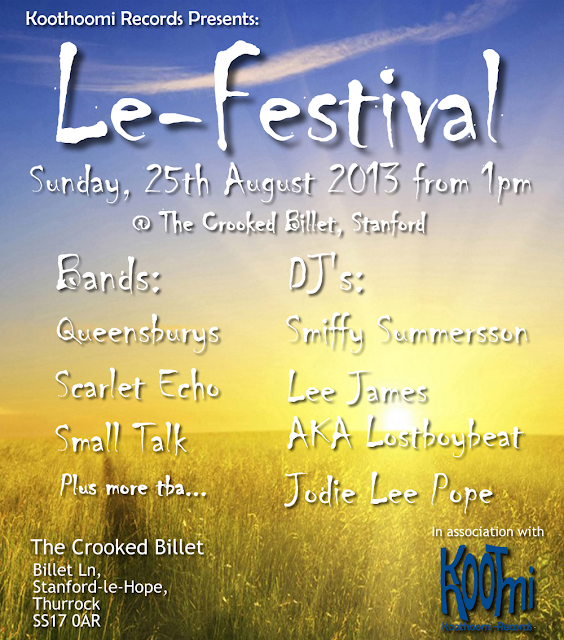 Full lineup as announced in the poster above, music starts from 2pm and it is free entry all day! 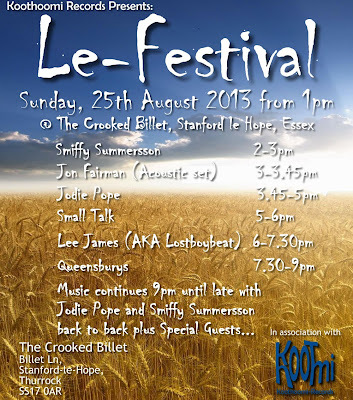 Koothoomi Records present Le Festival on Saturday 25th August 2013 from 1pm, free entry and tons of bands and DJ's all playing for your musical pleasure. 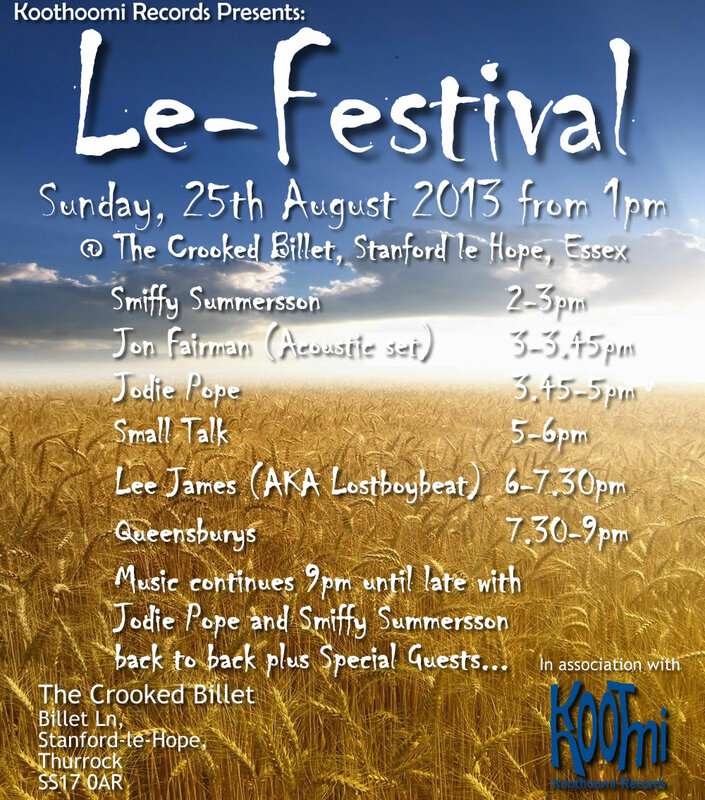 Queensburys, Scarlet Echo, Small Talk, Lostboybeat, Smiffy Summersson and much more. At The Crooked Billet in Stanford-le-Hope.